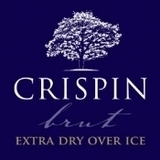 The champagne of ciders; combining subtlety and sophistication; the epitome of unforced elegance. European-style extra-dry natural hard apple cider. A crisp fresh apple bouquet with a brisk, refined finish that lingers on the palate.